Proclaiming 6 p.m. on Jan. 24 “a moment that we have been waiting for, for a very long time,” Lugoff Elementary School (LES) Principal Melissa Lloyd said the school “has served as a beacon for the community” for more than 50 years having taught the area’s doctors, lawyers, teachers and more. 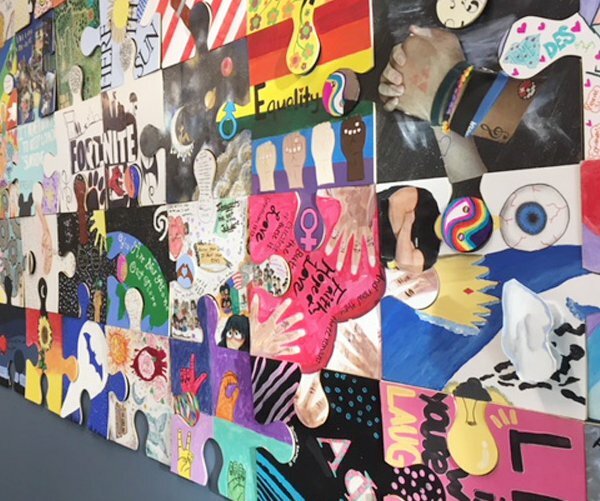 That evening, LES officially opened its doors to the community, nearly four weeks after students began attending classes in the new facility, immediately next door to the one they left near the end of December. “Many of you in this very room tonight have graced our halls and gone on to be successful in whatever vocation you have chosen. It has been our honor and the honor of those who came before us to help mold the mind of thousands and thousands of children and it is our pledge that we will continue this legacy of excellence in the years to come,” Lloyd said. “If you are a former Lugoff Elementary faculty or staff member, principal or student, we ask that you please stand so that we might recognize you and say to you, ‘Welcome home,’” Lloyd said, and most of at least 400 people gathered rose to their feet. In thanking those who made Jan. 24 possible, Lloyd thanked her students for being the “bright spots in her day, every day.” She also thanked “behind the scenes workers” who helped to make Jan. 24 possible as well, saying that each and every one of them hold a special place in her heart. Next Lugoff-Elgin High School Color Guard presented the American and South Carolina flags, followed by the Pledge of Allegiance led by LES Beta Club and Student Council President Griffin Proctor and the National Anthem led by the LES Singers. Ahead of his invocation, Kershaw County Board of School Trustees Chaplain Derrick Proctor talked about being a former LES student from 1968 to 1973. “And that was in Patrice McCloud’s kindergarten class. I loved the Letter People … Mr. T with the tall T, or Mrs. A who sneezed ‘achoo’ all day long,” she said. Funderburk also said she was fortunate to have many teachers who are still part of her life nearly 40 years later -- adding that she couldn’t believe she wrote that number down. She named a long list of them before speaking specifically about her 4th Grade teacher, Brett Pendrod. “(He) gave the gift of reading to us every day after lunch. He introduced us to such classics as ‘Where the Red Fern Grows,’ ‘The Westing Game’ and ‘The Call of the Wild.’ This reading time was truly one of my favorite memories of Lugoff Elementary School,” Funderburk said, also recalling several teachers who have passed away. Another memory was the day the Space Shuttle Challenger exploded 73 seconds after lifting off 33 years ago on Jan. 28, 1986. In addition, Funderburk spoke of former principals Mary Jones and Amy McLester. “These educators never ceased caring for me after I left Lugoff Elementary. In fact, they continued to be my mentors, offering words of encouragement and support even today,” Funderburk said. She also recalled the fashion and pop culture of the day: leg warmers, jelly shoes, Care Bears, early Madonna, Cyndi Lauper and Duran Duran. She acknowledged that LES has continued to struggle since then with an ever-expanding student population. “But as I look around and as I drove up today, I can tell that this school should be able to accommodate this student and then some,” Funderburk declared. 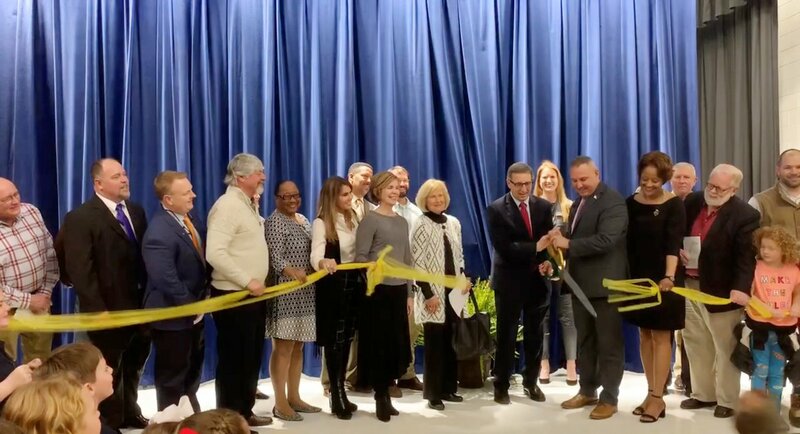 Audio of State Rep. Laurie Slade Funderburk's full remarks at the Jan. 24 grand opening and dedication of the new Lugoff Elementary School. 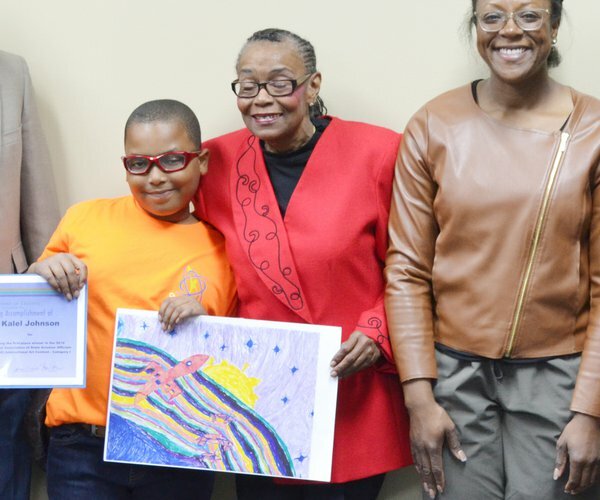 Following Funderburk’s remarks, LES 5th Grade student Kryston Newman recited a poem. Funderburk then returned to the podium for a moment to present American and South Carolina flags to Lloyd that had flown over the S.C. State House. The LES Singers performed again, followed by school board Chair James Smith leading those attending in a service of dedication for the school. Following the service of dedication, Moseley Architects presented a ceremonial “key” to the school to Lloyd. The audience then heard closing remarks and an invitation to tour the school from 5th Grade student Kristian Alexander, and witnessed a ceremonial ribbon cutting at the front of the stage in the gymnasium where the ceremony took place.